Be informed if you venture off the beaten track! 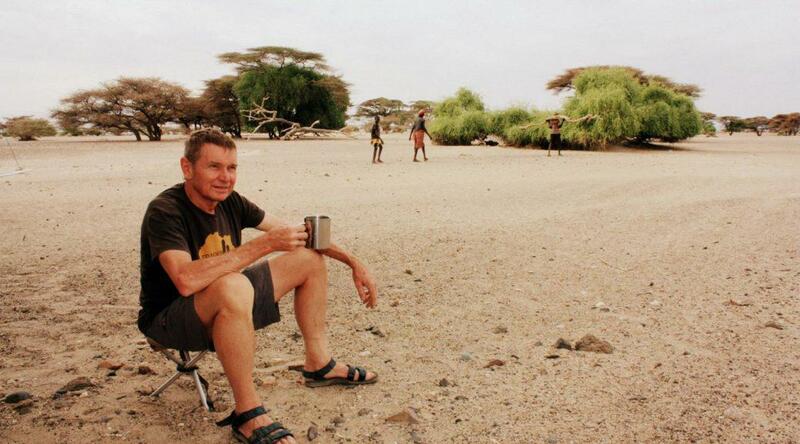 This scenario sounds absolutely idyllic, but if you travel Africa informed, you would have realised that it is the rainy season and that your whole camp could get washed away in a flash flood. If you love travelling off the beaten track, chances are good that you will even prefer wild camping versus formal campsites. For me wild camping is an important part of enjoying the serenity, tranquillity and unspoilt beauty of remote areas. However, make sure that you are well informed about safety issues before you wildcamp. 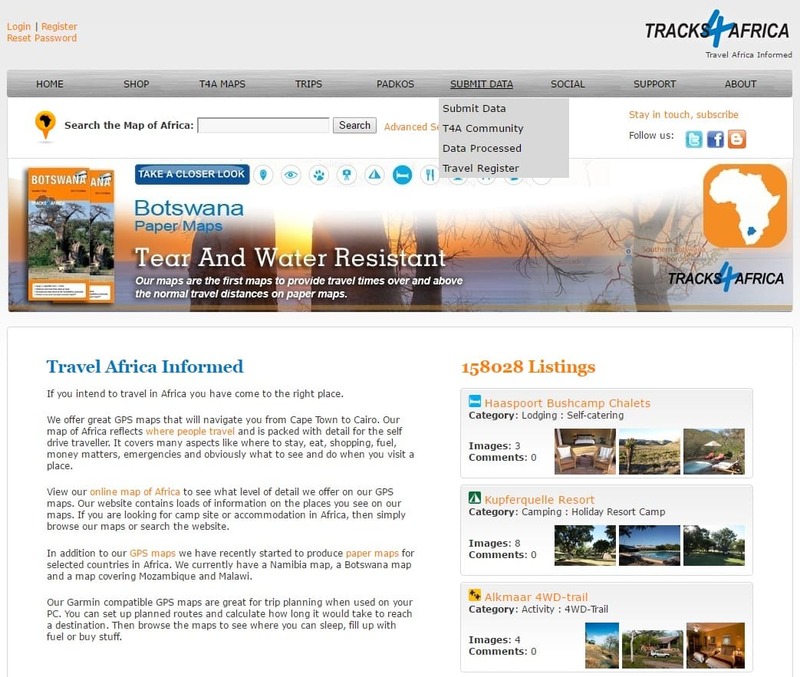 One of the best ways to achieve this is to join the Tracks4Africa Community Forum. Overlanders often regard dry riverbeds as ideal wild campsites. A Tracks4Africa forum member recently expressed his intention to explore about 20 km up and downstream of the Rhino Camp in the Ugab River in Namibia during the first two weeks of February. He prefers to travel Africa informed and was particularly concerned about the wet/marshy sections on this stretch and therefore asked for feedback from his seasoned fellow travellers. Following that feedback he decided against doing that particular stretch at that time of the year. One person advised him to be careful of travelling that section during February and not to camp in the riverbed. Somebody else commented that he would be unable (or at least take a massive risk) to drive that portion during the rainy season. Dangerous flash floods are just one of a few concerns when you travel off the beaten track. You should also get information about road conditions and safety before you set out to remote areas. 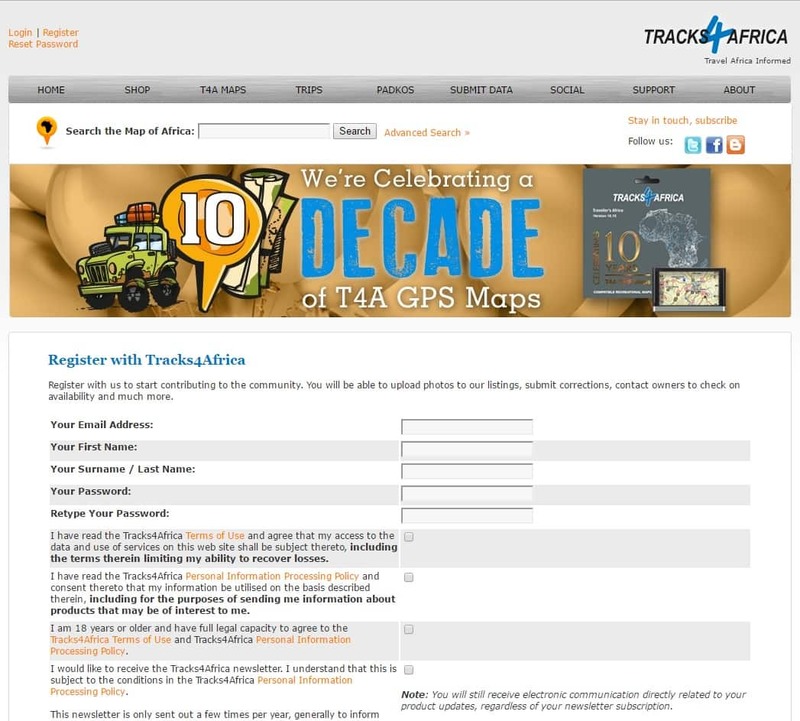 In this respect the Tracks4Africa Community Forum and the 4×4 Community Forum are some of the best places to ask for advice. You need to join both forums before you can post a question even though it is possible to search on existing threads or posts on the 4×4 Community Forum without registering. 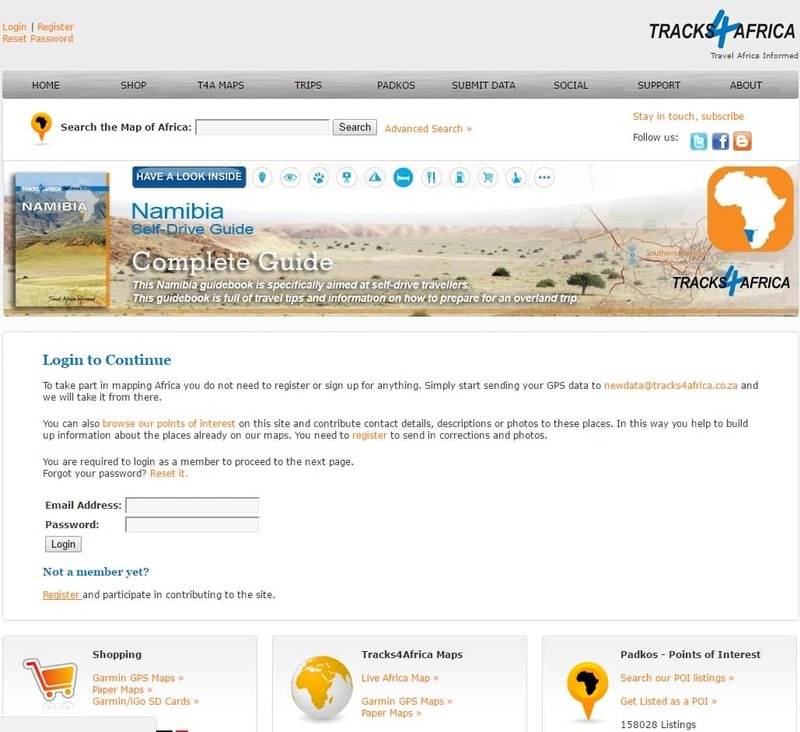 As the Tracks4Africa Community Forum is a Google Group, you have to join before you will get access to it. 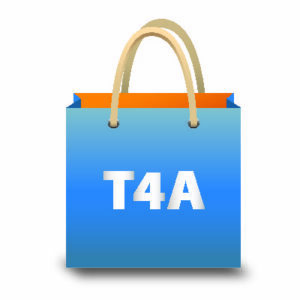 An easy way to join the T4A Community Forum, is by registering on the T4A website. 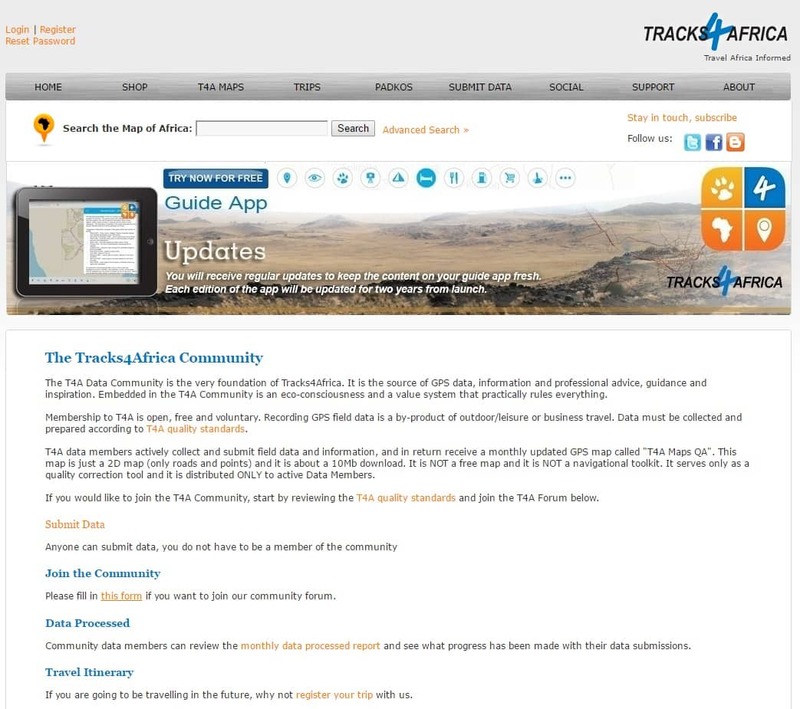 Go to Submit Data on the Tracks4Africa website and click on T4A Community on the dropdown menu. 2. Under Join the community, click on this form to activate your online registration. 3. The website gives you the options to either Login or Register. Click on Register. 4. Fill in the registration form and click again on Register at the bottom of the page. You will then be registered on the group and after you receive confirmation of your registration, you will also receive notifications of new posts to the group and will be able to post your own travel related questions. Previous PostMore uses for your GPS than navigationNext PostKeep protected areas special!